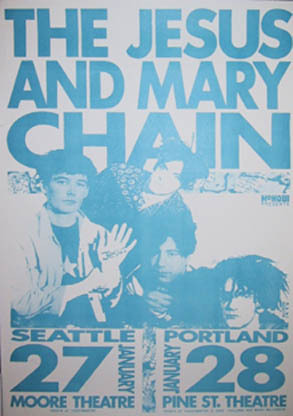 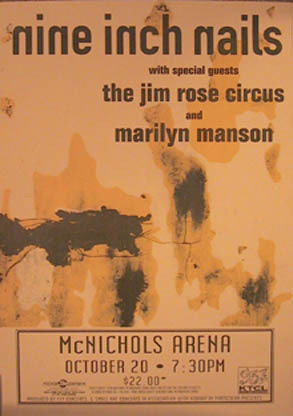 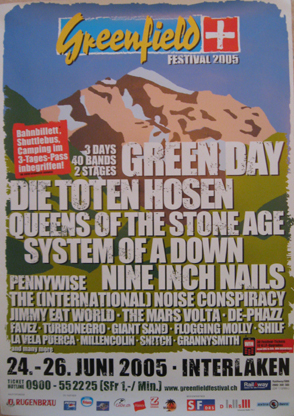 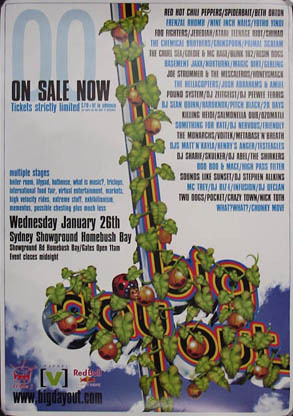 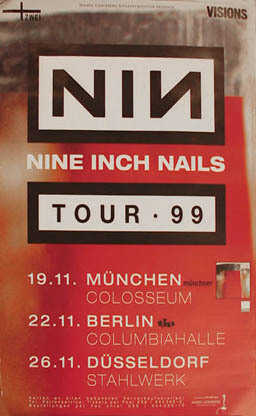 With any tour comes the advertisement for show dates and venues. 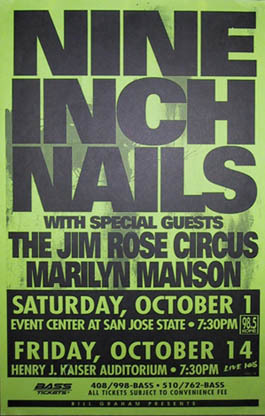 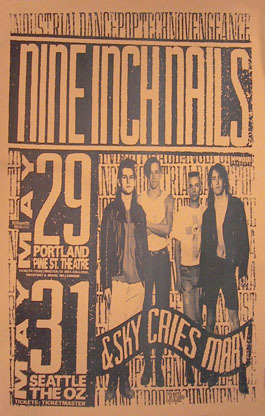 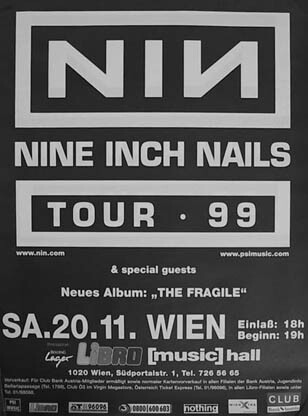 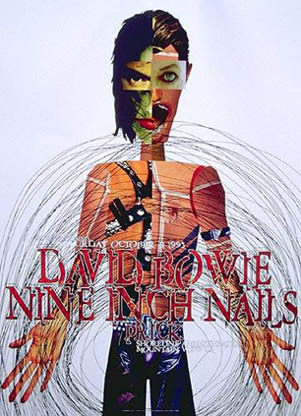 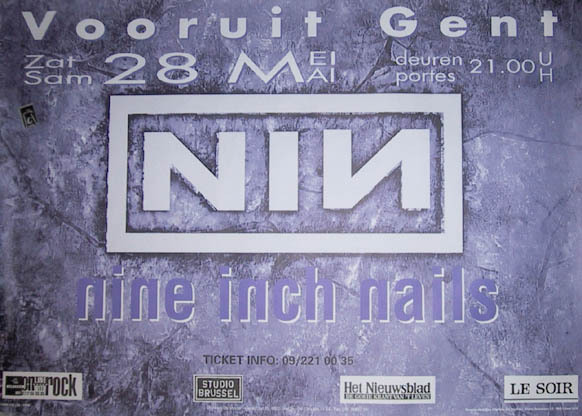 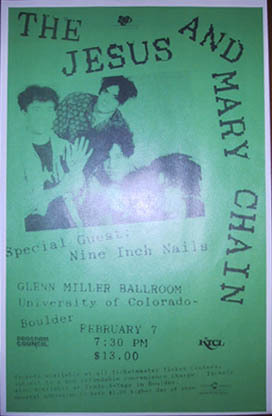 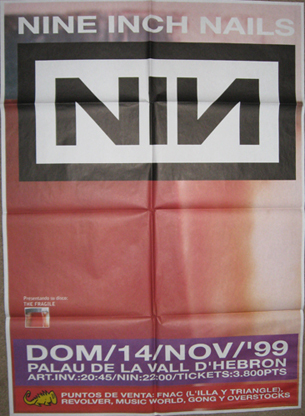 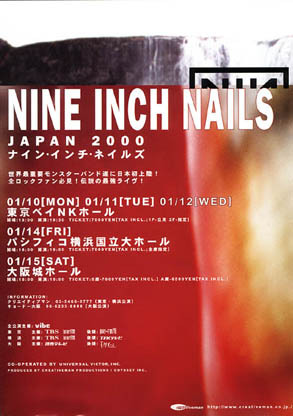 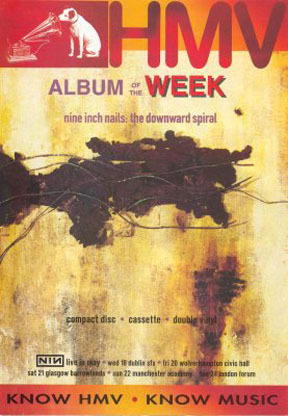 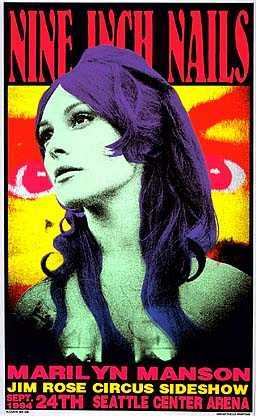 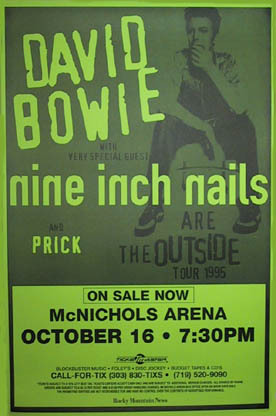 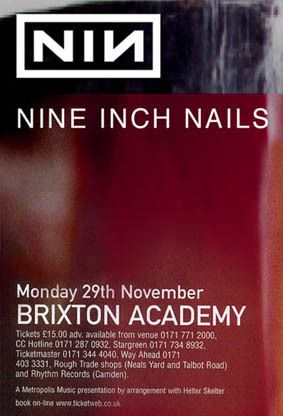 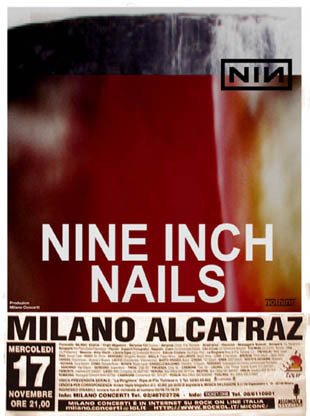 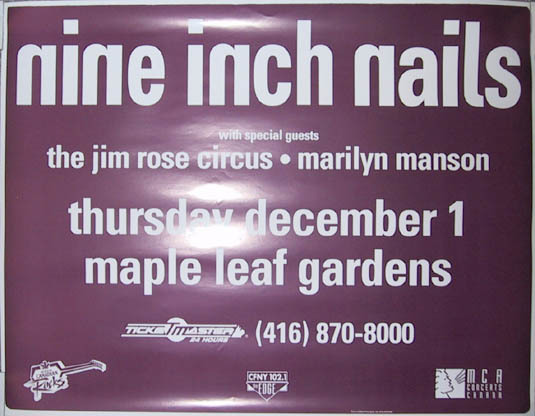 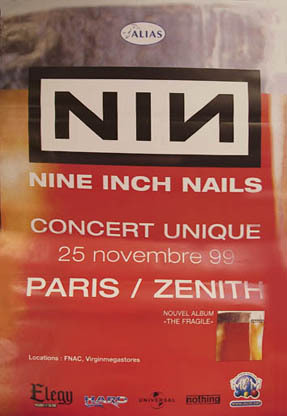 Many talented artists have created full size show posters for Nine Inch Nails tour dates. 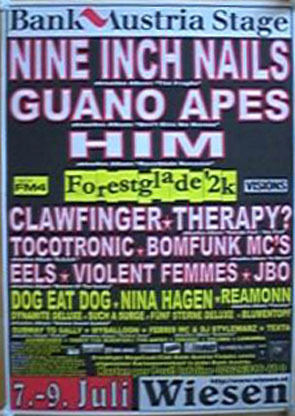 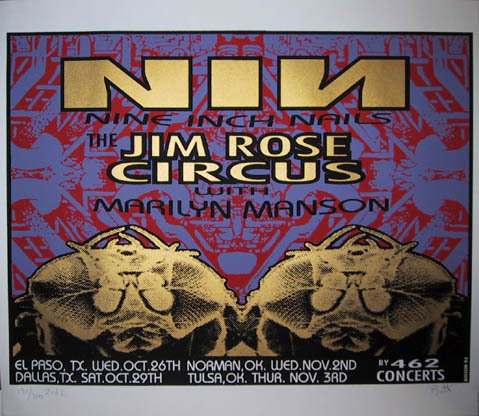 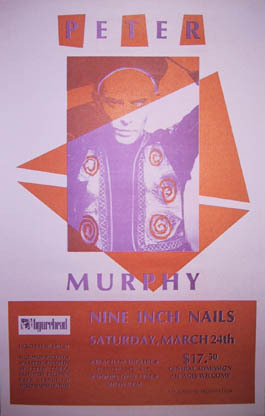 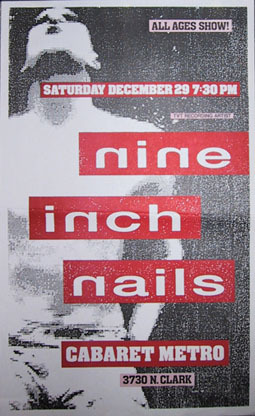 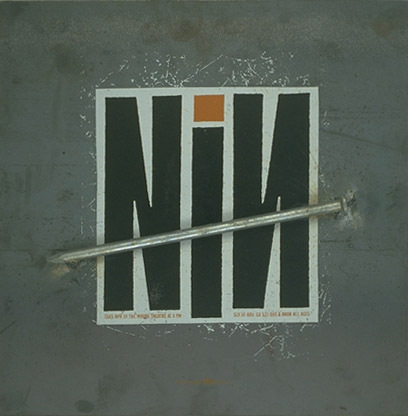 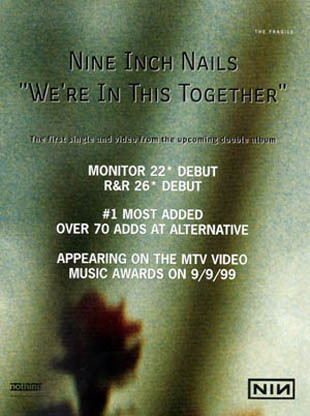 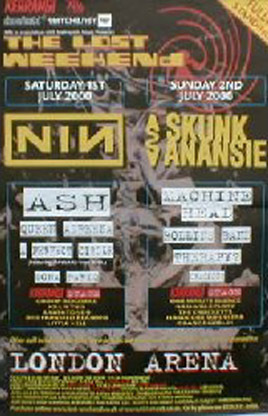 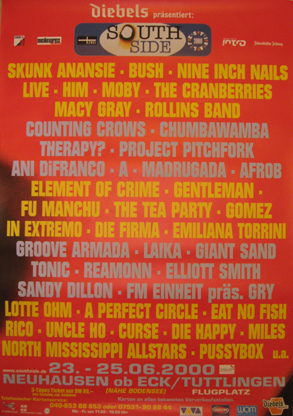 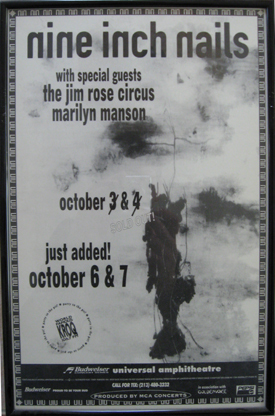 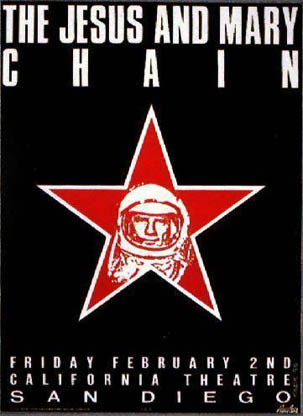 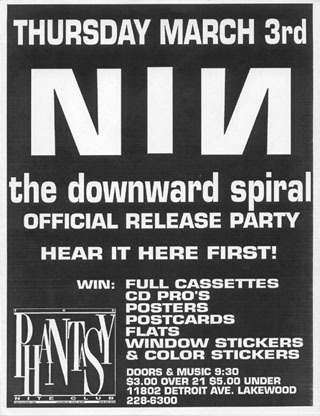 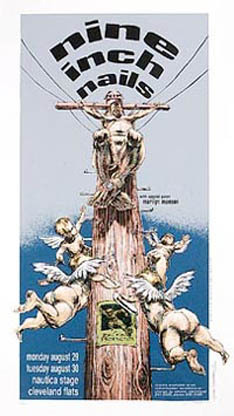 Artist such as Uncle Charlie, Frank Kozik, Rex Ray, TAZ, Derek Hess, Gregg Gordon, Mark Arminski, Lee Bolton, Jeff Kleinsmith and EMEK have all created tour posters for NIN.